It makes sense to maintain a HVAC even if it is under warranty. The average warranty covers the compressor and all parts for 10 years. However, the warranty is usually limited to parts only, not to labor after the first year. 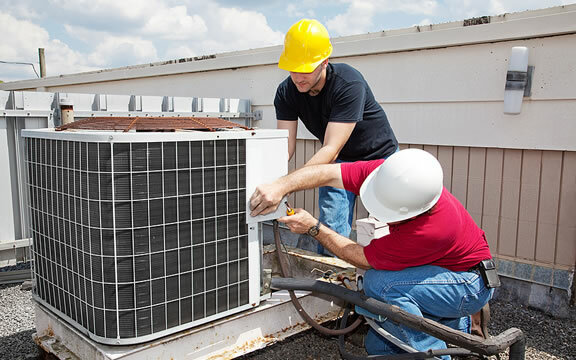 The cost of labor for air conditioning repair can be very expensive when a coil or the compressor needs to be replaced. Secondly, today’s conditioners are up to 3 times more efficient than the models they replace. If you have an air conditioner that is 15-20 years old it might make more sense to replace it now, before it wears out. You will begin to save on energy costs immediately. In addition, many high-efficiency central air conditioners are eligible for tax credits and utility rebates, reducing your expenses considerably. Finally, it might be wise to replace your central air conditioner preemptively before it fails. Here’s why. Being proactive will give you the opportunity to take your time to find the best unit, the best price and a competent installer. You won’t be rushed and will likely make a better decision. According to Home Advisor, having your central air conditioner fail in the middle of summer can be expensive. You’ll pay higher prices when HVAC companies are busiest. If you have to relocate to a hotel for a few days because your house becomes too hot, your expenses will add up quickly. If you do decide to replace an older system, always get multiple written estimates on a new system. You’ll save money when contractors know that they are competing for the work. It is important to understand that each job presents a slightly different challenge, which may affect the price. For instance, if you need to have an evaporator coil replaced, but it’s in the crawl space that’s only 18 inches high, your repairman may charge more due to the 4-5 hours he has to spend crawling under your home. The only way to get an exact price, is to have a company come on site and give you a firm quote. This information can be empowering to the homeowner or building owner. It can help you be proactive about maintaining and replacing your air conditioner. You’ll make better decisions and likely spend less in the process of keeping your home or business air conditioned.